What is “his secret obsession”? We talk about being “obsessed” a lot. Like when we’re obsessed with a certain TV show. When we can’t get enough of a favorite food. When we can’t put down a book. When we obsess over a desired goal. Obsession has become a catch-all term for things that we really, really like. But it’s really something more powerful than that. It’s the driving force that shapes our motivation. It can even shape your personal life story, like a narrative that’s built around a main goal or purpose in life. So, an obsession is a psychological condition. It’s more than something we want. It’s a state of being. It can be either helpful or hurtful. It just depends on the nature of the obsession. 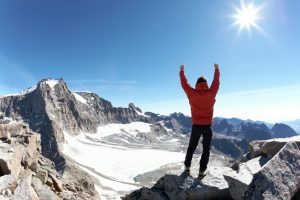 There are a number of historical accounts that show how becoming obsessed not only helps people accomplish important goals but also helps people feel good about life. An obsession gets you more involved in life. It makes you feel more alive. It makes you feel inspired. In romantic relationships, an obsession can be incredibly powerful. Especially if it goes both ways. After all, true love is an obsession. It’s a beautifully magnificent obsession. Because it motivates two people to pursue each other’s happiness as their highest goal. You want a guy to obsess over you. Because if you dominate his thoughts, you’re well on your way to becoming indispensable to him. Why? Because our obsessions form the foundation of our life story and our motivation. But men obsess about lots of things, not just love. And that can be a bit of a problem when you want to gain a man’s deep devotion and commitment. But there is a solution to that problem. You want to become part of those other obsessions that already capture and hold his interest. So that when he thinks about those other things he wants, he’s also thinking about you. In particular, you want to become part of the core motivations that drive him toward a feeling of “success.” You want to become his secret obsession. Because when you do, you become inextricably linked to his life and his goals. The first step to become his secret obsession is to understand the things men tend to obsess over in general. We all have obsessions. Some of these obsessions are short-term. We become completely focused on something for a short period of time. It dominates our life. And then it just goes away. These are “variable” obsessions. Let’s go back to an example already mentioned: watching a really good TV show. With streaming platforms, it’s easier than ever to become obsessed. You watch one really good episode. You love it. And the next episode is just a click away. So, you spend several weeks immersed in a particular world. It dominates your thoughts. You imagine scenes from the show when you’re supposed to be working. You crave more. Maybe you even talk about the show with friends or at work. And as long as there’s still more to watch, this obsession continues. But then you finish. And that feeling goes away. You move on. These are things persist as enduring goals in your life. They drive your actions and become a part of your life story. They influence decisions big and small. They are, in many ways, the things that define the person you are. Now here’s where things get interesting. There are a number of “constant” obsessions nearly all men share. 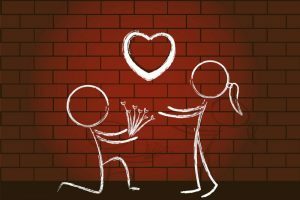 Let’s take a look at a few of them before we discuss the art of bending a man’s motivation toward deep and committed romance. Many guys obsess over money. How to get it. How to keep it. What they could do with it. How much better it will make their lives once they have it. 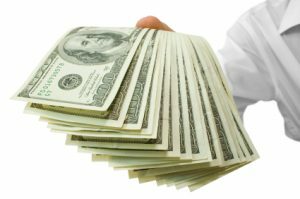 The lure of money can cause a man to do a lot of things – good and bad. So can the fear of losing money. Because of this obsession, some men shape their lives around how to make the most money. Why? Lots of reasons. Money means security. Being looked up to. Not having to answer to a boss. Being able to impress women. Often, men obsess about what others think of them. They want others to know that they’re the best. They want to be recognized for their accomplishments. This obsession is not about succeeding in life. Rather it’s about the social benefits of having high status. Men are obsessed with hierarchy. It’s wired into us at a biological level. In contrast, low-status men are perceived as “less-than.” They get stuck with the work no one else wants. They earn less. They have trouble in their love life. They have fewer options in life. It’s the reason men can get so obsessed with contests. Winning at games. Participating in sports. They want to test themselves against others to define where they stand and constantly reach for the respect of others. Everyone wants freedom. But men want it more. It’s a desire for independence rooted deep in his DNA. But it’s also about power. If he is free to do what he wants, when he wants, where he wants, and with whom he wants, he does not have to remain in a social situation where he has low status. 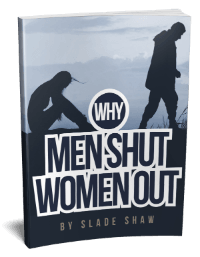 That’s why men tend to avoid situations where they feel “trapped.” They run from such situations – literally and figuratively. Though culturally there is a shift occurring, historically men have been the breadwinners. So it’s natural that men define themselves through their work. For many, succeeding in their career is succeeding in life. So, they spend a lot of time figuring out what to “do” with their lives. Finding their path. And then trying to succeed in that chosen career. Men want to climb the ladder. Become the boss. Win the most prestigious awards. Reach the pinnacle of their chosen field. Some of these obsessions may seem shallow from the outside looking in. But for the men obsessing over them, they’re not. They matter deeply. They are meaningful. His obsession is the thing that drives him in every decision he makes. It gives his life shape and purpose. It speaks to his values and the man he aspires to be. The man he hopes others see when they look at him. A man who feels like he’s making progress toward his obsession will have a better sense of self-worth. He’s likely to be happier. Healthier. Basically, the best version of himself. Here’s the interesting thing, though. Most men don’t really know what they’re obsessed with. Their deepest desires are subconscious. Brimming under the surface. Even to them, they’re a secret. And that creates an interesting opportunity for women. 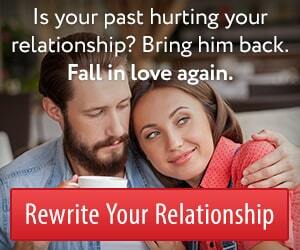 Because you can channel his subconscious drives toward a relationship with you. His motivation is like a powerful vessel at sea. You don’t need to fight against the momentum of the ship. You simply need to find your way to the helm. In the same way, you don’t need to push against the powerful drive of a man’s natural obsessions. You simply need to adjust the direction in which that powerful energy flows. Think of a guy you like. What is his secret obsession? Can you see what drives him even if he does not recognize it himself? Figure out his secret obsession and you learn what motivates him. What he cares about deep down. This is information you can use to draw him closer. Because you can act in ways that link you to his secret obsession. You can step into the raging storm of his obsession’s and bend them to your own will. And it’s possible to do so while supporting the desires he already has. Rather than feeling manipulated, he’ll feel that you truly understand him. He’ll feel that you truly support him. It is the definition of a win-win scenario. Why is this so important? Because you can link your own happiness into his competitive male drive. You can give his life purpose through his relationship with you. You can make your own happiness one of the things that motivates him most. In essence, you can become his secret obsession (if you know how). And that’s why James Bauer teaches a course on achieving just that. Which means you’ll soon be on his mind a lot more. He’ll start to feel like he’s working towards his most important life goal by working on the relationship he shares with you. He’ll pursue that goal by being a better partner. By doing things to make you happy. In effect, you become his secret obsession. The trick in all of this is figuring out what his secret obsession is. After all, there’s a reason it’s called a “secret”! His secret obsession goes well beyond specific goals he wants to achieve. And it’s more powerful than any list of goals he has ever written down. That’s because when you speak to his secret obsession, you are touching on a biological imperative. A drive that is just too strong to ignore. Connect yourself to this drive and a man will find you irresistible. That’s the key. It’s the secret sauce behind the James Bauer method. If you’re ready to invest in this life changing relationship skill, the course is just a click away. This entry was posted in Relationships and tagged Be Irresistible, His Secret Obsession, relationships, Self Help by Arcane Marketing. Bookmark the permalink. This is a really good book to win him back. He’ll never be obsessed with me. How do we become unobsessed with someone. How can I became irresistible to a 71years old man? I was engaged to, then he broke up with me. Hi Emilia. 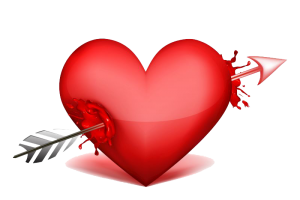 You might benefit from reading my course about winning back the affections of an ex. It’s a straight-forward guide I’ve titled the Relationship Rewrite Method. You may find it helpful as you consider your options. Click here to read more about it.